Anna Arts Center, 125 W Davie St, Anna, Il. The Shawnee Hills Art Council of Anna Arts Center and P.A.S.T. of Union County are co-sponsoring a Civil War Weekend in Anna, Illinois. There will be speakers and exhibits which include Civil War Era guns and quilts, Civil War Re-enactors, Civil War Era Memorabilia, Music, Exhibit Contest, Kirkpatrick Pottery, and Children Activities. Exhibits are free. So mark your calendars and plan on coming to Anna Arts Center for a journey back in time. 9:30 a.m.-4 p.m. – The Play, “The Women in Abraham Lincoln’s Life.” Call 618-697-0009 for $15 reservation. 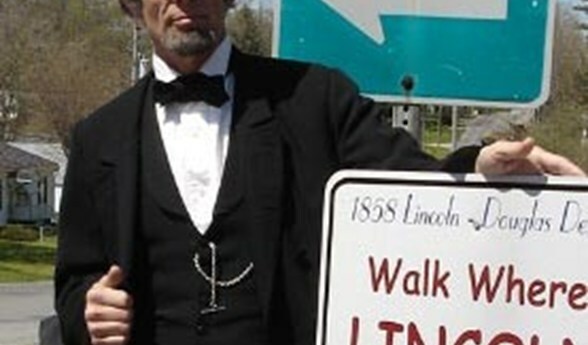 1 p.m. – Historical Bus Tour: Lincoln’s Footsteps and Friends in Anna-Jonesboro. Call 618-833-8745 for $10 reservation. 2:35 pm – The Play, “The Women in Abraham Lincoln’s Life.” Call 618-697-0009 for $15 reservation. For information, contact 904-625-1109 or email vabchlee@gmail.com. This entry was posted in All the Buzz - Bee Informed and tagged Anna Arts Center, Civil War, History on August 31, 2015 by massacbeeswax.